Our concern is to relieve poverty in the long run, not just in the immediate future. Our funds are best invested in developing skills, and enabling people to solve their own problems. Project development is shared between IVDT, our Indian partners and the community. In this way the work is most likely to be effective. Our projects are designed for sustainability, socially to discourage long-term dependency, and environmentally as well. MANGRO is a community-based project in Kendrapara, Odisha, restoring and replanting the coastal mangro plants which are essential to preventing costal erosion. Over sixty villages are involved. Tree nurseries generate new mangro plants which are planted out thus helping protect the villages against the consequences of climate change. As well as mangro plants, the nurseries develop saplings of fruit trees helping improve the diet and the economic position of the villagers. We also carry out environmental education in the community and in schools (EIEIO). EIEIO (Education in Environment Issues, Orissa) is a spin off from the MANGRO project. We carry out environmental education in the community and in schools. 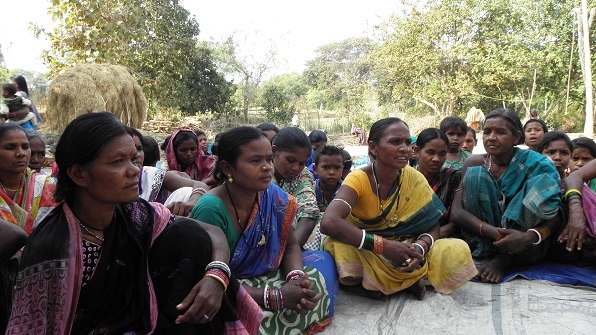 The BAREFOOT LAWYERS Project, funded by UK’s BIG Lottery, works in ninety villages in Western Odisha, training over 900 women to act as Barefoot Lawyers, raising awareness in their communities about rights and entitlements, enabling women to access all the government schemes and benefits which have the potential to change their lives. 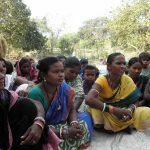 Now in its third year, this project has transformed the way in which village women are able to get to grips with the problems that their communities face. The CKD ACTION Project has been developed to help address a particular problem faced by many of the communities in Western Odisha – a high incidence of the fatal disease, Chronic Kidney Disease. The cause of the disease remains a mystery, but the project works to raise awareness about the disease, to reduce its incidence and to support those affected. As well as focussing on our project area, the team is developing a campaign network across the state, and is liaising with those working internationally on this issue. We fund two projects run by the Baliga Trust in Delhi – KALA KUTIR which is an arts education programme, and STEP-UP which remedial support to children who have been out of school, helping to enter mainstream education and remain there. For the past two years we have focussed on the STEP-UP Project because that is where there is the greatest need, and are very grateful to the Peter Cundill Foundation for their generous financial support which makes this work possible.